Hello everyone! Welcome to book reviews by Digital Amrit and this episode is on the book Maze Runner. The entire series came highly recommended from my husband. I have read only the first book of the series which is The Maze Runner and this podcast covers its story and my thoughts on it. So, beware of spoilers! The book starts with a boy who is trapped in complete darkness, remembers nothing but his first name — not his parents, not his home, not even his age, just his first name Thomas. He is pulled out of the darkness, called the box, by a group of boys, mostly teenagers. He has no idea where he is or how he doesn’t remember anything important but seem to understand about farm, animals, food, etc. Later he understands that he is not suffering from memory loss but some parts of his memory had been wiped off, leaving others intact. People responsible for the memory wipe, creation of the maze, etc. are called the creators. The place Thomas arrives at is called the Glade, the boys there are called gladers in general. The glade is a self sustaining unit which has electricity, animals and plants for food, a few buildings, etc. The weather is artificially controlled, constant sunshine during the day, no rain or snow at all. The glade sits right in the middle of a 3x3 square, similar to that of tic-tac-toe. The remaining 8 squares surrounding the glade are each a maze. The Glade has humongous doors in all for directions which close around sunset each day. Gladers are not allowed in the maze after sunset. The raison d’etre of these giant doors? Grievers and beetle blades which lurk around in the maze. Beetle blades are harmless unless provoked. Grievers are huge, slimy, bug-like creatures in form which are part-machine, part-animal, which are generally seen only at night. If gladers are stung by grievers, they are in for weird consequences such as convulsions and glimpses of their past life, the memories of which had been wiped away. The gladers led by Alby run the show in the glade. Other prominent characters are Newt, Minho, Gally and Chuck. The gladers have a few runners who run around the maze everyday looking for an exit out of the maze. They been trying to figure a way out of the maze for two years, with no success. They maintain maps on a daily basis each section of the maze for the last 2 years. As soon as Thomas is pulled out of the box, he is full of questions but no one would answer, except for chuck, his buddy, but Chuck is no expert either. The day after Thomas comes to the glade, a girl named Teresa is also sent with a note that things are changing and that she is the last to be sent to the glade. Teresa goes into a coma as soon as she arrives. The main story starts when Alby and Minho are unable to get into the maze before the doors close, Thomas runs out to the maze, saves Alby, helps fend off grievers all night and discovers a void in the maze into which the grievers disappear. A few days later, the sun is gone, doors won’t close, signalling to the gladers that the end is near. Unless they do something drastic to escape from the maze. Teresa wakes up. Thomas and Teresa figure that they are telepaths and that the maze is a code. Thomas has a gut feeling that he had helped design the maze, but he has no memory of it. To get his memories back, Thomas gets stung by a Griever. A vague memory of a computer in the Griever hole comes to Thomas. If they punch in the codes from the maps, they can escape the maze. Dangerous as it sounds, Minho, Alby, Newt, Chuck, Teresa and most other gladers decide to get in to the griever hole. But, some gladers decide to stay back. The gladers succeed in their attempt to escape and meet the creators who seem to be waiting to kill them. A group of people rescue them and explain to them that a dangerous disease is spreading around the world. They take the gladers to a safe facility which looks like a dorm, give them dinner and let them sleep. At the end of the book, it is revealed that the rescue was staged by the creators and that the gladers will be subject to the next level of test one they wake up. Frankly, I forced myself to read the first few chapters of the book where there was nothing but swearing and name-calling — shuck, shuckface, klunk, slinthead, slim it, etc. There was next to no information on what was happening. Yes, it is important to have an element of suspense to reveal some complex and mind-blowing idea. But there were two problems, one there was no detail given in these chapters except for the memory loss and generous amounts of swearing. 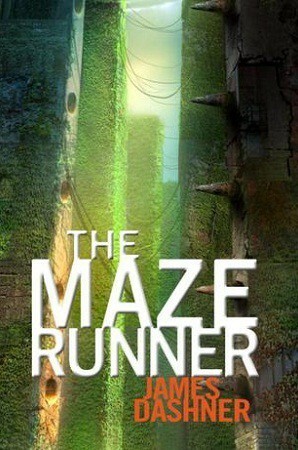 Second, there idea of maze and grievers did not live up to the hype created in the previous chapters. And by the time the whole thing is revealed, more than a handful of chapters of the book are over, with an unbelievable amount of verbiage. Finding an exit in the maze was in the forefront all the while, suddenly Thomas wakes up and tell them that there was no exit. But what about the Griever hole, isn’t that an exit? It has to lead somewhere, right? No one bothered to look into the grievers for two long years? None of them were curious to find out more? The creators had handpicked the gladers for their above average levels of intelligence. Yet, none of the three dozen gladers thought that their maps could be compared between sections to look for any changes or patterns? Or that the maps stacked one of top of the other could mean something? Two full years and it needed Thomas and Teresa to figure it out. Only Thomas and Teresa may have the knowledge of computer installed in the Griever hole, but other than making maps and looking for an exit, the gladers had done nothing much in terms of exploration? They knew the consequences of the stinging, they had the serum and about three dozen gladers. But still, other than running around the maze for an exit, nothing had been tried. Life in the glade is described as dull, sad, miserable and what not. Why was there not enough happy or jubilant moments or incidents to balance the misery out? As far as I remember, there are only 2 incidents that have a semblance of happiness — the door opening in the maze after the codes are punched in, which is quickly decimated by the arrival of the creators and Chuck’s death. The second one is the gladers eating pizza for dinner after the rescue, but again the journal of the creators about stage 2 of testing only means that this happiness is also short-lived. I understand that the glade or the maze is not a happy place to be and their request for TV was rejected by the creators. So, what is the source of entertainment for the gladers? By calling each other names — hey you, shuck-face? Yes, thanks klunk-head! No singing or no other forms of entertainment? Beats me! And the writing style — almost is the oft repeated word. He almost laughed, he almost fell, he almost tripped, he almost made a sound, he almost …. Bo….ring! The next annoying thing is italicized words. Thomas and Teresa communicate using telepathy — yes I understand the need to differentiate it from normal talking and the usage of italics is fine. But italics for every emphasis, seriously? And every so often! What does that mean? What is that? They were looking at him, etc. Given the context, the emphasis was apparent and I didn’t see the need for italics. Grotesque, dusty, muck, disgusting, gooey, slimy, oozing, yuck seems to be the operating words for anything and everything in the book. These are the general characteristics of the grievers, rooms in the buildings, the tunnel through which they escape and hair in the food. We do get the picture that the maze and the glade were not the tidiest of places or were well-kept, but hair in the food was definitely crossing the line. Here I was thinking that the Wolverine movie Logan was the most depressing piece of work, but boy I was so wrong. It had a story and most of the important characters had their heyday of their youth living out happy, wielding their power, etc. This book is the epitome of misery and hopelessness. I guess the whole series is this way. I started reading the second book, the scorch trials and after the first few chapters, I closed it for good. I could see things go from dismal to bleak and I could not take anymore. But, surprise surprise, I figured that my husband had given 5 star rating in Goodreads for this book and I can’t help wonder why and how. Never mind. Hopefully, the next set of books I read will put me in good spirits. Thanks for listening to this podcast! As usual, we eagerly look forward to your feedback. Bye! Click here to support Digital Amrit by buying Maze Runner from Amazon.